The Browns will have the biggest coaches of their staff filled by the time Freddie Kitchens takes the podium for the first time on Monday as the teams’ new head coach. 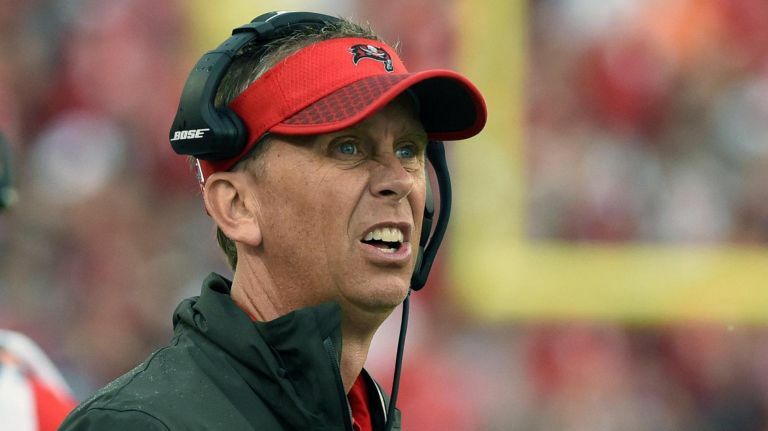 On the offensive side, former Bucs offensive coordinator Todd Monken is set to assume the position of OC. Monken was Tampa’s OC the last three seasons, and was a big help to the teams’ passing game, as they led the league in passing yards this season with 320.3 yards per game. Tampa was third in total yards per game (415.5), going back and forth between two QB’s – Jameis Winston and Ryan Fitzpatrick. With the weapons the Browns have on their offense, adding Monken on paper seems like an excellent choice. On the defensive side, the team is hiring former Cardinals coach Steve Wilks, who was dismissed after a 3-13 season with Arizona. Wilks was solid with the Panthers as their defensive coordinator two seasons ago, as they finished tied for 10th in the NFL in points allowed per game at 20.4 two years ago. The Browns also will add James Campen as associate head coach/offensive line coach. Friday Mike Preifer announced he was coming to Cleveland to assume the role of special teams coach, taking the place of Amos Jones who was not retained.